Nilsson later noted that his album catalog tended toward trilogies. There is a point to that (no pun intended), for Harry seems in many ways like the final chapter in the trilogy that began with Pandemonium Shadow Show. Its songs are linked by a theme of retrospection, from the haunting "Mournin' Glory Story" (which Nilsson later admitted was unwittingly influenced by the Beatles' "For No One"), to the wistfully childlike "The Puppy Song" (originally written for Mary Hopkin). In addition to ending a cycle, the album also began one, with Nilsson's first of many great Randy Newman covers, "Simon Smith and the Amazing Dancing Bear". Nilsson followed Harry with a project close to his heart, Nilsson Sings Newman. Released in February 1970, the album stands apart from the rest of Nilsson's catalog, or anyone's catalog, for that matter. Its uniqueness comes from the fact that it is a true meeting of minds, each one of them a great songwriter and artist. By 1970 Randy Newman was well-known in industry circles, with one solo album to his credit as well as many songs recorded by others, but commercially he was an unproven quantity. It would not be until the end of that year, after Nilsson Sings Newman came and went, that Newman would have his first major hit song in the United States, Three Dog Night's version of "Mama Told Me Not To Come". It was a daring move of Nilsson's to record an entire album of Newman's songs, and one which ultimately widened the audience for Newman's music. Although Nilsson Sings Newman did not chart, it was lauded by the press, earning more than one citation for "Album Of The Year." Nilsson Sings Newman is centered upon Newman's songs, Nilsson's voice, and Newman's own piano work. In some ways it is more a Newman album than a Nilsson album, because the delicate arrangements make the songs the star. Nilsson's own style was particularly compatible with Newman's. Listening to this album, and especially comparing it with Newman's own versions of the songs, the respect Nilsson felt for Newman is strongly evident. Nilsson's own personality comes through in the vocal arrangements. As with the previous albums, all the background voices, from the "female soul singer" to the "barbershop quartet," belong to Nilsson. On songs such as "Love Story", he created the perfect blend of romance and irony, qualities which are very present in Nilsson's own songs. Nilsson later recalled how much effort went into that collaboration, as well as how tedious things got for his partner: "Randy was tired of the album when we were finishing making it, because for him it was just doing piano and voice, piano and voice, over and over and over. But I needed that practice because I needed to learn the songs inside and out the way that he knew them, but do it my way so that it (stylistically) matched both of us. Once I got the take down, I knew what I was going to do with it later. He didn't." 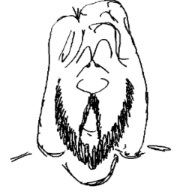 Nilsson spent much of 1970 working to bring another pet program into fruition, an animated musical TV special, aimed at children of all ages, called The Point!. He was inspired by the idea that everything was pointed. Well, it seemed profound to him at the time, as he later explained: "I was on acid and I looked at the trees and I realized that they all came to points, and the little branches came to points, and the houses came to point. I thought, 'Oh! Everything has a point, and if it doesn't, then there's a point to it.'" Kids, don't try this at home. Broadcast in early 1971, with story and songs by Nilsson and narration by Dustin Hoffman, The Point! was a cross-generational hit, just as Nilsson had hoped. The soundtrack album, which was narrated by Nilsson, reached #25 during a 32-week chart life and launched the Top 40 hit "Me And My Arrow". Nilsson knew that, with his current success, fans would search for his first two albums, and he wasn't pleased. After completing The Point!, and before beginning his next new album, he returned to the studio to tinker with his old tapes. The result was June 1971's Aerial Pandemonium Ballet, a collection of remixed and retooled versions of tracks from Pandemonium Shadow Show and Aerial Ballet. Although the new versions mostly retained the feel of the originals, Nilsson added some creative twists, such as a canny allusion to "One" in the tale of a star's fall from grace, "Mr. Richland's Favorite Song". Included on the album was a retooled version of "!Daddy's Song", a tune which was originally included on Aerial Ballet but was yanked from it when RCA feared competition for the Monkees' version. Although Aerial Pandemonium Ballet was no smash, it sold better than either of the albums it compiled, reaching #149 on the Top 200. In June, 1971, Nilsson went back into the recording studio after a year long absence to make the album that would become his all-time best seller, Nilsson Schmilsson. The album, Nilsson's first album of mostly original, non-soundtrack material in the two years since Harry, was done at Trident Studios, London, England, with a producer who was new for Nilsson, Richard Perry. From its hilariously homey cover photo to its tongue-in-cheek title, Nilsson Schmilsson was a surprising change from Nilsson's previous records. The greatest surprise was that Nilsson had made such a great artistic leap. Nilsson later observed, "I really needed it, too. That was exactly what I was hoping would happen. That album was a great meeting [of minds] ... I was so glad to meet Richard Perry, because he was thinking the same thing I was thinking at the same time: now let's go to work and do some rock 'n' roll and get down!" It was while in England that Nilsson heard and recorded the Badfinger song "Without You". While the Badfinger version (on their 1970 album No Dice) stands on its own, there is no question that Nilsson's version was the definitive one. The emotional centerpiece of Nilsson Schmilsson, "Without You" deserved all its success. It topped the U.S. charts for four weeks and the U.K. Charts for five, selling well over one million copies and earning Nilsson his second Grammy. Nilsson Schmilsson spent nearly one year on the charts, reaching #3, going gold, and spawning two more hit singles, both penned by Nilsson: "Jump Into the Fire" and "Coconut". The hard-rocking "Jump Into the Fire", which today would be called "alternative," was a completely left-field choice for a follow-up to "Without You". Fortunately, fans took it on its own merit and sent it up to #27. To this day, it is the only hit to feature a bass detuning. Nilsson, who later presented with the contrast between "Jump Into the Fire" and his earlier work, answered, "My earlier stuff had the same soul in it, only it was more subtle." Nilsson Schmilsson was still on the charts in July 1972 when the artist released his next album, Son of Schmilsson. RCA chose the single "Joy" to coincide with the release, not a wise move, as "Coconut" was still in the Top 40 and, moreover, "Joy" was not the most commercial song on the album. (It wasn't the least commercial one either; that honor forever goes to "You're Breaking My Heart".) The single missed the charts entirely. Fortunately, the label realized its mistake and quickly spun off the poppier tune "Spaceman". The only Son of Schmilsson song to hit the Top 40, "Spaceman" reached #23. The follow-up, "Remember (Christmas)", was a minor hit that winter, edging up to #53. 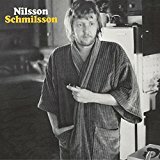 Son of Schmilsson was a profitable album for Nilsson it hit #12, spent 31 weeks on the chart, and went gold ... but there was something about it that put off buyers who had been drawn to Nilsson by "Without You". That something had to do with Nilsson's heavy use of both bathroom and bedroom humor, often within the same song. Although finding reasons why records do or don't sell is a largely futile pursuit, it is safe to say that one song in particular, "You're Breaking My Heart", dispelled the romantic image that Nilsson had created of himself. Today, the song sounds almost quaint, but in those pre-punk days of 1972, when pop lyrics rarely got racier than Melanie's "Brand New Key," many buyers were forever put off by Nilsson's enthusiastic use of the f-word.